See the ancient wonder of Stonehenge in modern comfort. This tour will show you the ancient Magna Carta dating back to 1220. The tour dives into the depths of history and discovers the how, when, where and why of Stonehenge & ancient past of humans, from Neolithic Man to the present day. Stonehenge and Avebury in Wiltshire are among the most famous groups of megaliths in the world. The two sanctuaries consist of circles of menhirs arranged in a pattern whose astronomical significance is still being explored. These holy places and nearby Neolithic sites are an incomparable testimony to prehistoric times. The full-day tour starts at 9am from Salisbury train station or Central Car Park Coach Park in Salisbury. It begins in the Medieval Cathedral City with all of its history and mystique where you enjoy a tour of the City before spending an hour at the Cathedral taking in the tallest spire and the Magna Carta (subject to opening times) before departing at 10.15am for a brief stop at Old Sarum, the original City of Salisbury. This Iron Age settlement became Salisbury after visits from Saxons, Danes, Vikings and Normans. Old Sarum offers wonderful views over the City and the surrounding landscape. This is where King John had his garrisons in the early 1200s before the barons rose up against the King which resulted in the Magna Carta being sealed in 1215. You will depart Old Sarum at approx. 10.40am and follow a narrow riverside road through a picturesque valley with its own history to tell. 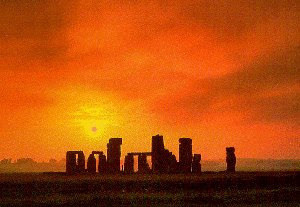 Here you can take in the many thatched cottages and begin to learn the history that surrounds Stonehenge. Arriving at Stonehenge at 11.10am you will spend two hours experiencing the new visitor centre and the Ancient Stones before heading to Avebury. En route to Avebury you will see the Alton Barnes White Horse (a large chalk carving in the hillside) before passing through Lockeridge (where the Sarcen stones originate that form part of Stonehenge & Avebury). You will also see Silbury hill, the largest manmade mound in Europe and the West Kennet longbarrow (an ancient Neolithic burial mound). If time & weather permit you will walk to the site and actually enter the burial mound. 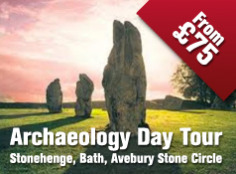 At 2.15pm you arrive at Avebury where your guide will walk you over the site. Here you will try your hand at divining for spiritual leylines. Leaving Avebury at 4.30pm you begin your return journey to Salisbury train station, Central Coach Park or a local hotel (if you are staying overnight). The tour will be completed at 5.30pm. 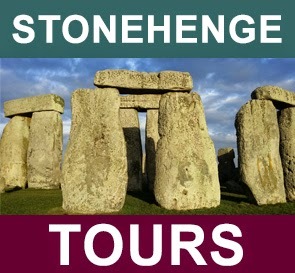 The VisitWiltshire website also list guided tours of the Stonehenge area departing from Salisbury. A family-friendly guided tour of the amazing collections of the Wiltshire Museum, followed by a guided walk from Durrington Walls to Stonehenge. Tour of the galleries approx. one hour, lunch at the Museum followed by a three hour (approx. 4 miles) walk in the afternoon. Walk not suitable for pushchairs or wheelchairs. The morning visit to the Museum starts at 11am and the walk begins at 2pm. We should reach the Stonehenge Visitor Centre at about 5.00pm. 12.30pm: a light lunch at the Museum. Please advise of any dietary requirements, restrictions or allergies. 1pm: leave for Durrington Walls. The walk will take approximately 3.5 hours, and starts at Durrington Walls and Woodhenge, close to the River Avon. The route passes the Cuckoo Stone, a megalithic standing stone, before following the Apple Track - a WW1 light railway. The route then passes the prehistoric Cursus, before passing the Bronze Age barrows of Kings Barrow ridge. The route then follows the Avenue - the Neolithic ceremonial route that leads to Stonehenge following the line of the solstice. ed inside the stone circle.